• Dr Ola Hekselman (Department of Materials, Imperial College London), Solveteq – Sustainable Lead Recycling (photograph above). • Yan Zhao and Ian Campbell (Department of Mechanical Engineering, Imperial College London), Breathe Battery Technologies (photograph below). These fellowships have been set up to facilitate the creation of new business opportunities that have emerged from Faraday Institution research programmes or closely related activities. They provide seed funding, business support and mentoring to maximise the potential of success and accelerate the spin-out process. 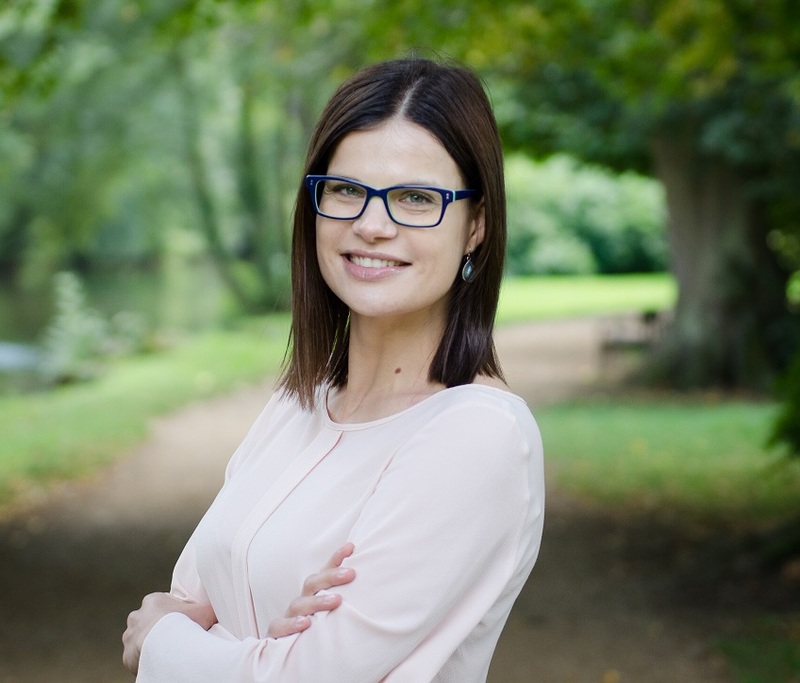 Solveteq’s co-founder, Dr Ola Hekselman, is developing a new, low-energy, low-pollution, potentially low-cost chemical alternative to current smelting processes for lead-acid battery recycling. It produces lead oxides, which are commodities that can be directly used in the production of new batteries. Despite the rise of Li-ion batteries, lead acid batteries are still present in hybrid and electric vehicles and with emerging applications such as grid energy storage, no decline in their use is expected in the near future. The research originates from RELAB, an EPSRC-funded research project. Proof of concept has been established at the lab scale, and the intellectual property has been captured by a pending patent. Solveteq’s plans have benefited from Imperial’s Techcelerate entrepreneurial programme, mentoring from Imperial Venture Mentoring Service and business coaching from the College’s Business School MBA programme. This entrepreneurial fellowship will fund personnel costs, equipment purchases, consumables and travel for the 12-month duration of the award. During this time Solveteq will aim to scale up the process from gram scale to multi-kilogram scale and to optimise the process at the greater scale. In the longer term, the same process could be used to tackle the challenge of recycling other battery types. 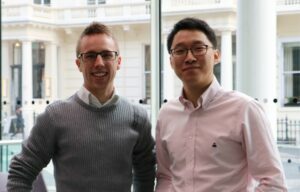 Breathe is an independent start-up founded by Yan Zhao and Ian Campbell, both of whom are completing their PhDs in Dr Greg Offer’s group at Imperial College London. They are targeting a step reduction in the charging time of batteries by replacing widely-used static charging algorithms used in existing battery management systems. By adapting the charging process to the unique, evolving health of every battery, the researchers believe they can unlock substantial latent performance. Health-adaptive charging could also potentially increase battery lifetime and decrease battery cost. The start-up has received backing from Climate-KIC and the Imperial Enterprise Lab, where the duo were recently winners of the Energy & Environment category of the Venture Catalyst Challenge. The researchers are targeting the consumer electronics market, with its short qualification periods, as a proving ground for its longer-term focus of electric vehicles. The Faraday Institution funding will allow the team to refine its business and pricing strategy and make progress along its technical roadmap to develop and demonstrate a product to satisfy early adopters in the consumer electronics market. Funding will predominantly be used for salaries and to purchase software licences and equipment. The Faraday Institution expects to award approximately five fellowships per year. Applications may be submitted at any time by completing a short application form and sending it to opportunities@faraday.ac.uk. Periodically, the Faraday Institution will convene an assessment panel to review applications. Any questions about the scheme should be directed to Ian Ellerington (01235 425124). The next review will be in June 2019, for which the deadline for applications is 1 June 2019. Entrepreneurial Fellowships are offered with funding in the range of £50,000 to £100,000. Fellowships are available for a period of 3-12 months to reflect the needs of each opportunity. The Faraday Institution intends to help the groups it funds by providing, amongst other support, mentoring, publicity, facilitating introductions to researchers and industry partners (within and external to its research projects), to other potential funders and potential customers, and by sharing insights into the competitive environment. Applicants must be UK researchers who wish to create or investigate the possibility of creating businesses through spinning out technology from Faraday Institution research projects. The organisation also considers applications from recent spin-outs or research teams developing technology related to the Faraday Institution’s scope of energy storage and conversion. • The likelihood of there being a market and the market size. • The technical potential of the innovation. • The strength of the team and support from their home institution. Ian Ellerington joined the Faraday Institution after six years in central government where he worked on designing and implementing innovation programmes in the energy sector. He was responsible for the government’s energy innovation programme in the Department of Energy and Climate Change and continued in the Department of Business, Energy and Industrial Strategy as Head of Disruptive Energy Technologies and Green Finance Innovation. Ian is an engineer who graduated from University of Cambridge with an M.Eng. in Manufacturing Engineering in 1993 and is now an experienced technical manager who has worked with small, medium and large corporates, academia and government. His early career was spent working on Gas Turbine engines with the Ministry of Defence before moving to project management at QinetiQ where he was responsible for research programme management and delivery of the large test programmes. He left QinetiQ to join Meggitt Defence Systems as UK General Manager where developed, made and operated new technical products and set up and ran a new R&D and manufacturing facility.